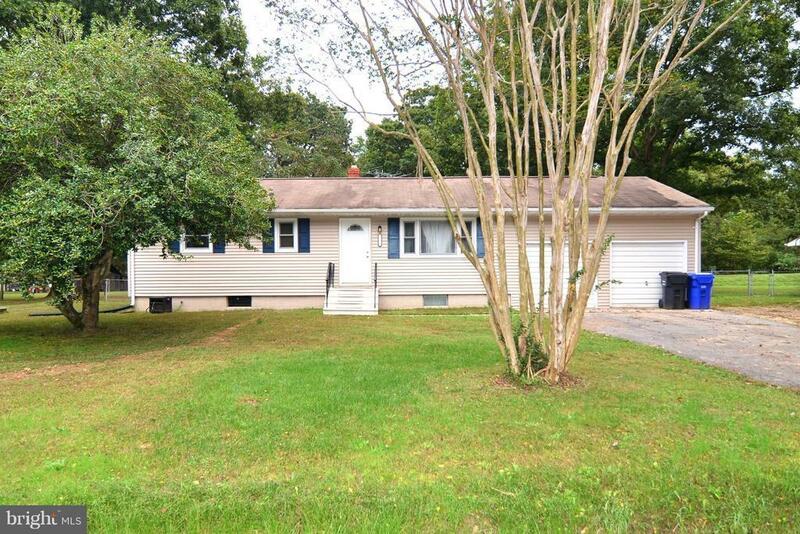 3BR 1FB rambler w/hardwood floors and country style kitchen. Family room has stand alone wood stove and large bay window. Separate living room. Upscale full bath w/tile. Partially finished basement. Oversized two car garage w/attached workshop. Heat pump for heat/cool w/oil furnace backup heat system. Large back yard with large portion fenced. Property shows well. Can accommodate quick settlement.